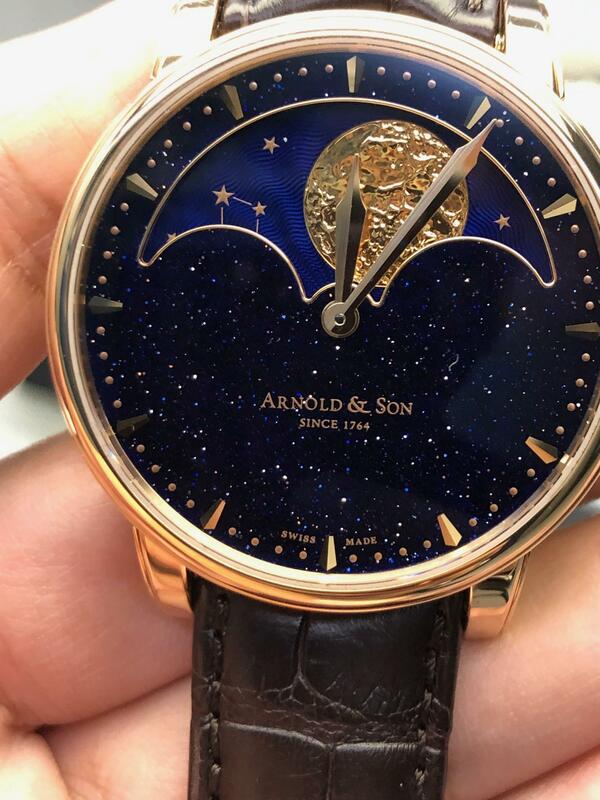 Three novelties from Arnold & Son this year, one new dial, one new case, and one new movement. We start with the new dial. On HM Perpetual Moon now comes with an aventurine dial. All tech specs remain the same. LE 28 CHF 31,000 before tax. Next a new case for the Nebula. Now with a 38mm case in addition to the 42.5mm. The case is available only in red gold with the option of diamond set on the bezel or full diamond set. Movement is the same as the larger model. Limited to to 50 pieces range from CHF 23,300 to CHF 39,800. And the new movement in the Time Pyramid line adds a tourbillon to the collection. 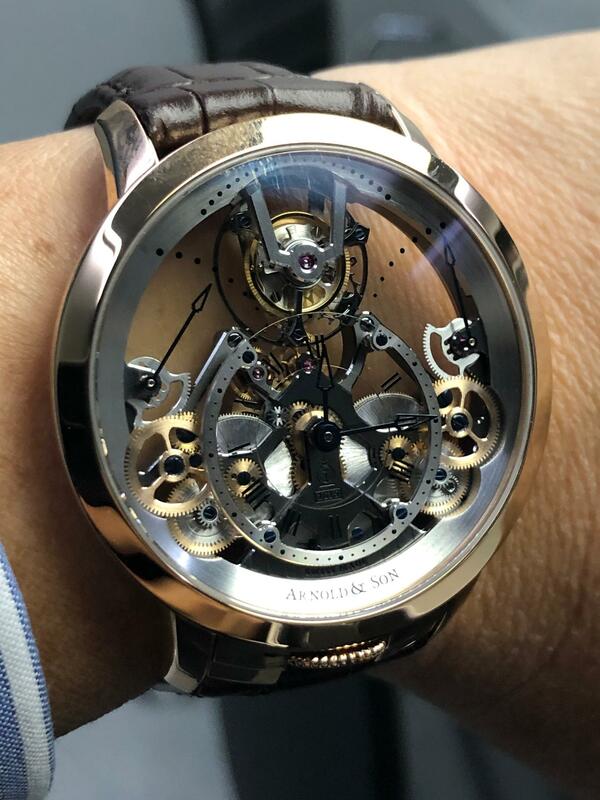 In keeping with the spirit of the line, hour minutes at 6 with a tourbillon at 12. 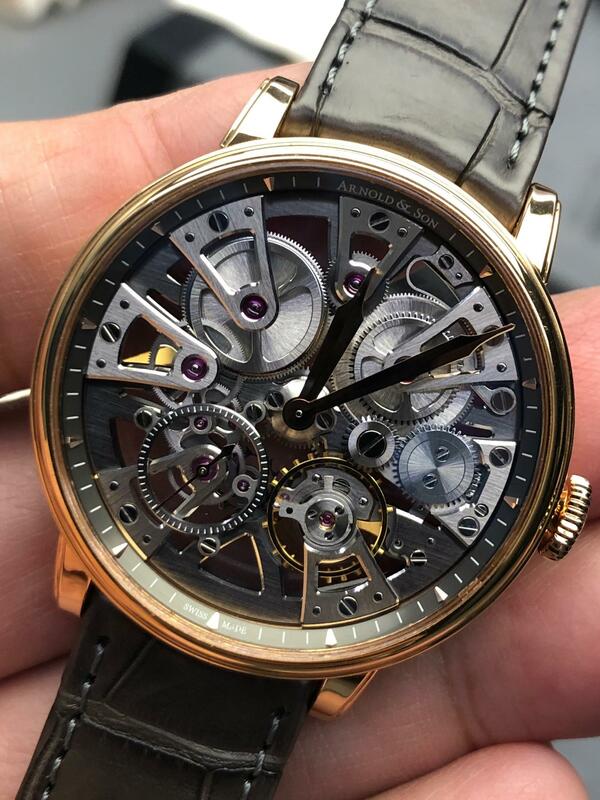 The case size is 44.6mm, same as the non tourbillon. Power reserve is 90 hours. Two versions in red gold and SS. LE 28pieces in each case material.